Everyone knows the insurance jingles and advertisements that claim to be businesses that will be on your side, your best friend and your protector, but is it really realistic to think of our insurance companies that way? At the end of the day, insurance providers are businesses whose primary objective is to make profits. When you’re involved in an accident and make a claim, your provider may try to undercut the settlement you deserve and give you an unfair amount. This type of action by your insurer could lead to a bad faith insurance claim. 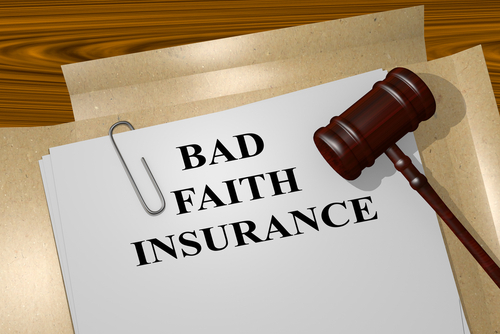 If these situations sound familiar, then it’s advised that you consider pursuing a bad faith insurance claim. The courts have already recognized several situations, as described above, that are unreasonable reasons for withholding a policy owner’s benefits. It’s necessary to remember that a denied claim may not arise to the level of a bad faith claim. If your insurance company can provide a legitimate and legally recognized reason for withholding your benefits, then a lawsuit may be futile. What Damages are Available in Bad Faith Insurance Claims? If your claim is successful, then your insurer may be obligated to pay more than your original claim was worth. Did you or a loved one sustain serious injuries in Florida? Don’t let the medical bills pile up while you wait for the negligent party or their insurance company to do the right thing. Right now, you need an aggressive personal injury attorney on your side, fighting to get you the compensation you need, want, and deserve. The skilled attorneys at Lawlor, White & Murphey represent clients injured in Coconut Creek, Plantation, Fort Lauderdale and throughout Florida. Contact us by calling 954-525-2345 or email us to schedule a free consultation about your case. We have an office conveniently located at 2211 Davie Boulevard, Fort Lauderdale, Florida.